Load balancing rules control Internet network traffic into VDC, via 'Local with Internet Gateway' networks. For each port of the network you can automatically distribute inbound network traffic across a number of virtual machines. Load balancing rules are typically used for applications such as web-based services when you need to spread the volume of incoming user requests across multiple web server VMs, in order to obtain a reasonable speed of response and/or improve the user experience. You will need to create firewall rules for all of the ports for which you are setting load balancing rules. See How to manage firewall rules for your VDC. A new 'Local with Internet Gateway' network has its firewall set to ‘deny all’ and no connections are set up by default. Take care that you have a secure Administrator/root password set for your VM before you activate any public Internet network connection. The VDC firewall and load balancer is based on VDC's native virtual router. 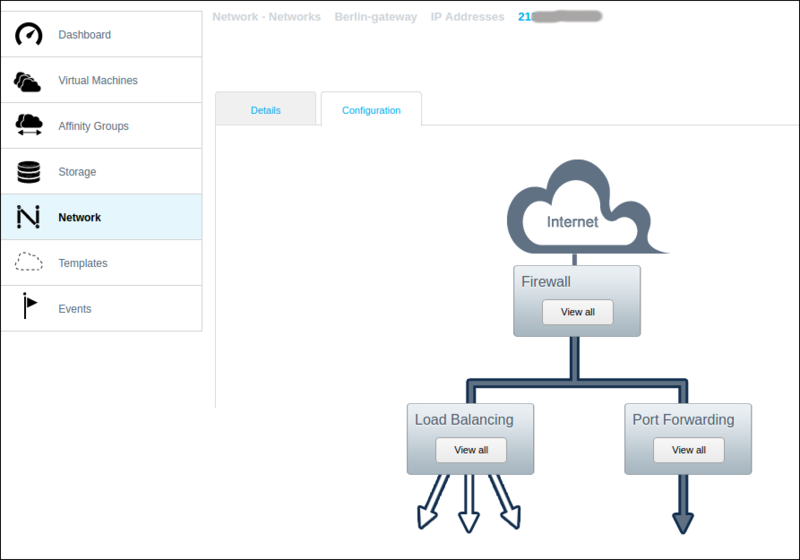 If you wish instead to deploy a dedicated virtual machine running a load balancer application, then you should use a Public Direct Connect network which offers direct connection to the Internet without an additional firewall. The input boxes above the table provide inputs for adding a new rule. See below for explanation. For each rule, you need to click the Show VMs button to show the VMs that are included in the rule (click again to hide the information). You can edit all of the parts of the load balancing rule: Click the Edit button to edit the Name or Algorithm; click the Stickiness button to add a stickiness policy, or modify it; click the Add button to add more VMs to this rule. You can delete the entire rule with the Delete load balancer rule button , next to the Edit button. Or you can delete single VMs from the rule, using the appropriate Delete button. You must click the Apply button in the Add VMs dialog to create the rule.